Five bills aimed at tightening controls over firearm purchase and possession are at their final stages in the California Legislature or waiting for the approval from the governor. In the wake of the deadly school shooting that happened in Florida six months ago, some California lawmakers said these bills are actions that move forward gun control and provide further protection in schools and the wider community. However, some of these bills have been criticized for violating the constitutional rights of Californians. Opponents argue that reducing legal firearm purchases will do little to solve gun violence issues. The bill AB 3129: No firearm for people convicted of domestic violence misdemeanor, will give anyone who has been convicted of misdemeanor domestic violence a lifetime ban, which prohibits the offender from owning, purchasing, and receiving a firearm. According to current law, people with a felony conviction are subject to a lifetime ban. Serious and violent misdemeanors, including domestic violence misdemeanor, only come with a 10-year prohibition of owning and purchasing a firearm. Supporters claim this bill will reduce the possibility of homicide resulting from domestic violence. If passed, it will only be applied to convictions on or after Jan. 1, 2019. Bill AB 2888: Gun violence restraining order for school employees and students, will allow a secondary and postsecondary school employer, coworker, or employee to request a gun violence restraining order (GVRO) against employees or students who attended in the last six months. 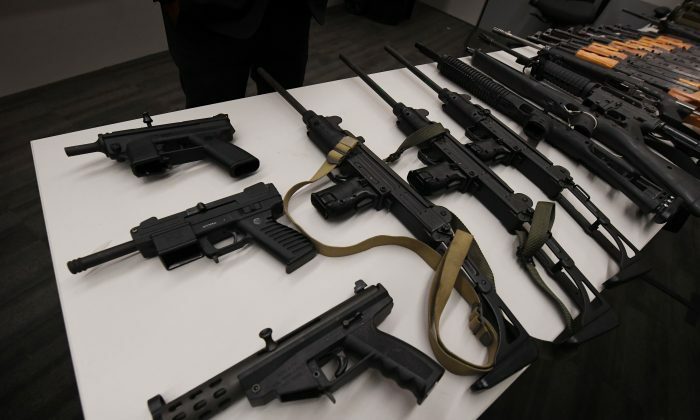 A GVRO, which prohibits the restrained person from purchasing or possessing firearms or ammunition, can only be obtained through family members and law enforcement currently. Supporters believe that adding more people to the list of those who are able to seek a GVRO could lower the number of gun violence incidents that happen in public areas like offices and schools. AB 1968: Seeks to create a lifetime ban to prevent people, who have been admitted to a mental health facility more than once a year for being dangerous to themselves and others, from owning and possessing a firearm. The current California law prohibits anyone from purchasing more than one handgun in 30 days. SB 1177 requires an expansion of this restriction from handguns to any kind of firearm with certain exceptions. In 2016, Gov. Jerry Brown vetoed a similar bill AB 1674 that prohibits sale, transfer, or purchase of more than one long-gun in any 30-day period since the “one-handgun-a-month” law has already existed and the bill might hurt lawful citizens who want to sell their firearms. California current law only specifies handgun purchases shall not be allowed for persons below 21 years old. Bill SB 1100 requires to cover all kinds of firearms within the prohibition.